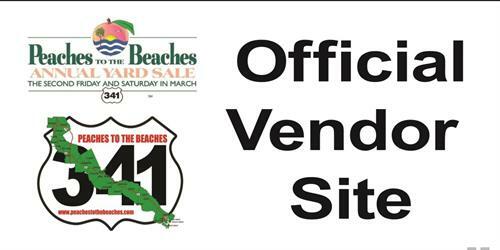 The Peaches to the Beaches Yard Sale was established in 2005. The original route was from Perry to Brunswick and the Golden Isles. 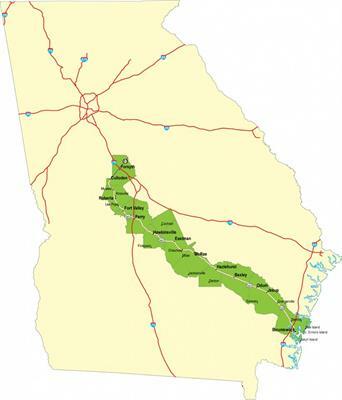 The route is currently over 200 miles long and includes the following counties: Lamar, Peach, Crawford, Houston, Pulaski, Dodge, Telfair, Jeff Davis, Appling, Wayne, and Glynn. This is Georgia's longest yard sale! 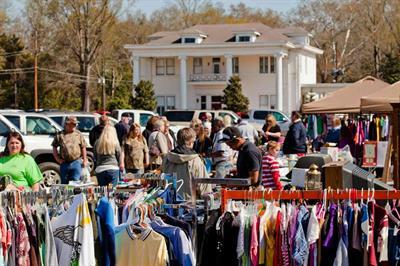 The yard sale features official vendors selling everything from antiques, locally crafted items, food, and the traditional yard sale fare. As you are traveling during this event, look for the Official Site banners and Official Vendor yard signs which will be located along Hwy 341 for places to stop and shop! Shoppers are encouraged to only shop at the official vendor sites as these vendors support this worthwhile event and make it possible for the Explore Highway 341 organization to continue promoting and organizing the event each year. For more information about becoming an official vendor in Perry, contact the Perry Area Convention & Visitors Bureau / Perry Welcome Center at 478-988-8000 or info@perryga.com. Or contact the Perry Lions Club at 478-987-4824 or PerryLionsClubP2B@gmail.com. Along Hwy. 341 through downtown Perry, GA.